Peter Aprile and Natalie Worsfold interview Derek Hopfner, co-founder of Law Scout. Derek, along with his friends, Shane Murphy and Travis Houlette, started Law Scout after a (less than inspiring) BigLaw experience. Law Scout has developed an online workroom where small businesses can easily hire pre-vetted lawyers and obtain high-quality legal work for a fixed-fee. It seeks to remove the friction and cost uncertainty inherent in traditional law firm engagements. Peter, Natalie and Derek discuss Law Scout, its platform, attracting clients, lawyers, and the challenges of building a legal technology company. The parties also have a heartfelt conversation about finding personal and professional fulfillment in building new stuff. As the kids say, “ish gets real”. Derek started Law Scout to make great legal services more accessible for small businesses. 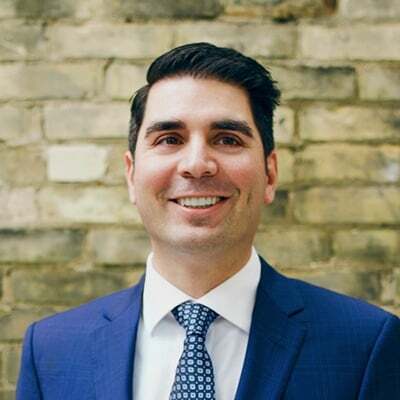 Prior to Law Scout, Derek worked for over 6 years as a lawyer focusing on corporate law and litigation at a mid-size law firm in Edmonton, Alberta. Derek has helped numerous small businesses get launched and has advised them through their initial challenges. He received his law degree from the University of Alberta and degrees in business and philosophy from the University of Calgary. 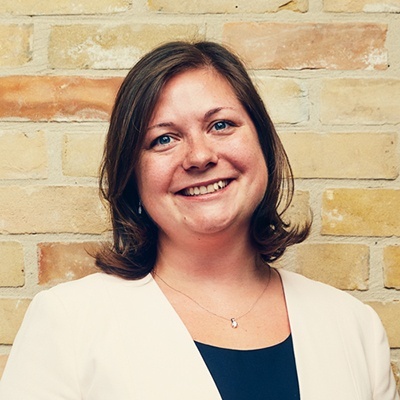 Natalie: [00:30] To learn how you can use this podcast to satisfy your law society’s CPD requirements, visit our website at countertax.ca/bnl. That’s countertax.ca/bnl. Sponsor: [00:50] The Building NewLaw podcast is supported by Counter Tax Lawyers, a new type of tax controversy and litigation law firm. To learn more about Counter, go to countertax.ca. Peter: [01:05] Today we're talking to Derek Hopfner. Derek is one of the founders of Law Scout. Natalie: [01:12] Derek had a comfortable job as a lawyer in a respected law firm. Like many lawyers in comfortable jobs, Derek could have stayed at his firm, led a comfortable life on a partnership track. Instead, Derek started talking to his friend about the problems with how lawyers deliver legal services. [01:26] In particular, they talked about frustration with price certainty, how lawyers wouldn't provide updates about what they were working on, or where they were in terms of completing a project. Peter: [01:36] So Derek and his friends spent two years planning a better system. In June 2015, Derek quit his job and made the leap with his two close friends to start this new business. [01:45] Law Scout fixes problems that Derek saw in the law and offers an online platform that connects lawyers and their clients. In particular, it allows the two to work together. It does this on a fixed fee basis and automates the administrative work to ensure lower cost. [02:00] Law Scout is still in the early stages. It's going through funding at both LegalX with MaRS and the Legal Innovation Zone at Ryerson. Natalie: [02:08] Law Scout was recently named as a finalist in the Legal Innovation Zone's Access to Justice Challenge. So, congratulations. There's a huge amount of interest in Law Scout, and we have no doubt that it will grow and help simplify the delivery of legal services. 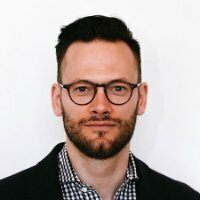 Peter: [02:20] We want to talk to Derek today about the nitty‑gritty about Law Scout, what it took to build it, and his experience in transitioning from a traditional legal environment to a start-up. We want to talk to him about how to find customers, research customers needs, how to recruit the right team, and the lessons he learned along the way. Natalie: [02:35] Hopefully, we can inspire another lawyer to follow their passion. So here's our interview with Derek. Peter: [02:45] Hi, Derek. Thanks for coming today. Derek Hopfner: [03:03] Really happy to be here. Thanks. Peter: [03:06] You are one of the founders of Law Scout, correct? Derek: [03:08] That is correct. Peter: [03:09] And who makes up your team? Derek: [03:11] Right now, we have myself, Shane Murphy, and Travis Houlette. We're all very good friends from about 20 years ago and been working on Law Scout for a little over a year now. Peter: [03:23] So, before we get into the details of that friendship and how that grew into this company, why don't you give us a high‑level overview of what Law Scout is. Derek: [03:32] Law Scout is an online legal marketplace. It connects small businesses and entrepreneurs with pre‑vetted lawyers at fixed prices. We have an online workroom, and we have automation technology that makes legal projects more efficient, and easy for user to complete. Peter: [03:50] If you can just break that down for me a bit. So, I'm a potential client, I find Law Scout's website, I go on the site and I think this might be a good place for me to, let's say, incorporate my new company. Peter: [04:02] So what's that user experience. What happens next in that user experience? Derek: [04:06] Sure. The user will be direct through a question and answer format in terms of narrowing down what exactly they want. Do they want a federal company, a provincial company? [04:15] And then once they have made that decision, they go ahead and create an account. Once they've created an account, they answer some questions about their legal project. [04:25] In this instance, it would be an incorporation of things such as the business name, directors, officers, and shareholders. And then this all gets created and turned into a report for a lawyer. [04:35] The user's then matched with a lawyer, and the two parties work together based on that initial report, completing the incorporation through our online workroom and at the end of the project, the legal documents are saved there. There's automated receipts. Payment processing is all dealt with through our platform. Peter: [04:55] So other than incorporations, tell us some of the other things that a client or user can do as part of the Law Scout platform. Natalie: [05:20] Have you had a lot of buy‑in from lawyers who are eager to be part of this system? Derek: [05:23] Yeah. That's been surprisingly positive. We get emails from lawyers almost on a weekly basis looking to learn more about Law Scout and sign up. The biggest push for us has been getting the word out to users. Peter: [05:36] That was my question, actually, in terms of...There's two sizes. I guess it's getting the word out to lawyers that might fit this model as well as getting the word out to potential client. So can you just walk us through how each of those things have happened in the past? Derek: [05:49] So with the lawyers, initially we drew on our personal networks. Both myself and Shane, we're practicing lawyers, so reached out to other lawyers that we know or have been introduced at, practicing at more lean manner, and reached out to them. [06:07] And then, like I said, we get emails on a almost weekly basis from lawyers from all over Canada that want to learn more. And then if they're interested in participating on Law Scout, we have a vetting procedure in terms of asking them to forward their resume. We review that, if there's any history with the law society in terms of discipline, and then we'll move forward with a couple of interviews. [06:29] The first one being more just to get a better understanding of how they practice and their specialties, and then the second one usually, if we're going that far, is more of a demonstration of how Law Scout works. Peter: [06:38] In the first instance, how do these lawyers hear about you? Derek: [06:41] I think just through us existing. We have various networks that we are a part of. We're part of LegalX. We're part of the Legal Innovation Zone at Ryerson. We've been fortunate to get some press over the last year. That has created some interest amongst lawyers, and then, as a result, they reached out to us. Peter: [06:58] And I would imagine extremely important at Law Scout is vetting its team properly, because that work is going to be reflected in the Law Scout brand itself. Derek: [07:05] 100 percent. That's crucial for us as a brand that we make sure we have high‑quality lawyers, and I'm very happy to say that they're all fantastic. [07:15] The other thing we do is anytime a user goes to the site, we ask them to fill out detailed online customer survey so that we can capture what they liked about the system, what they didn't and then what they liked and didn't like about working with their lawyer. So that's our feedback loop. [07:31] It's an internal rating system for us. It's nothing public, but it does help us to determine to make sure that we have the right lawyers connected with the system. Peter: [07:39] And what about clients? How are clients finding you, folks? Derek: [07:42] I think primarily through three or four mediums, word of mouth, organically through SEO. We do a lot of speaking events, and users get to learn more about Law Scout in small business legal issues to that. And then the last would be referrals from other professionals. Peter: [07:59] And the speaking events are what? Like start-up events and stuff like that? Derek: [08:02] Start-up events. We focused on the small business community more than we focused start-ups. So we have loose partnerships with Enterprise Toronto, with small business centers throughout Southern Ontario, access employment. [08:13] We have some relationships with similar organizations out in Alberta that we've conducted some speaking events for. So we try to do between one and three or four speaking events per month. Peter: [08:25] Wow. And who's doing that? Are you doing that? Derek: [08:27] Myself and Shane, depending on the location and where we both are. So I'm primarily doing the ones in Alberta. And in Ontario, it's either Shane and I, or just Shane. Peter: [08:40] And you're doing the ones in Alberta because...? Derek: [08:42] I still spend about 20 percent of my time in Alberta. Derek: [08:45] I practiced law in Edmonton for about seven years. And all of us actually are from Calgary. Peter: [08:50] Oh, OK. I didn't know that. Derek: [08:51] So that's the connection. We all went to high school and our first degrees in Calgary. Natalie: [08:57] That is neat. So in terms of a business model, Law Scout's not a law firm, right? Natalie: [09:03] So how are you guys making money? Derek: [09:05] That's a very good question. Derek: [09:12] Law Scout is a technology company. And what we've built is a suite of technology that makes it easier for small businesses to get legal work done, and for lawyers to complete those legal projects. [09:22] And you'll notice from the website as any time a user wants to go ahead and sign up for a legal projects, there's a number of different pre‑identified fees attached with it, a legal fee that goes directly untouched to the lawyer, disbursements and administrative fees that go directly to the lawyer, and then a Law Scout technology fee. [09:41] And that's how we make money. That's the license fee that we charge the users directly for their use of the Law Scout platform. Natalie: [09:48] So as a lawyer who is using the platform in connecting with clients, I'm getting to use your technology, but I'm not having to pay for it directly. Peter: [09:57] The immediate question in my mind, so what does it cost? Does the technology fee vary based on the work? Derek: [10:04] It's about 10 or 15 percent of the total project fee. That is generally how it's worked out to. Peter: [10:11] And how have users responded to the pricing model? Derek: [10:15] Universally positive in the sense that I think the legal industry has a lack of transparency when it comes to pricing, so users, I guess, love the fact that they know the exact cost beforehand. [10:28] What's interesting about that is, if a user has never hired a lawyer before then they're just going through the system and thinking that, "Oh, legal services are like every other business." And they don't realize what you've done. Derek: [10:44] So, that's interesting, but really is something that I think users like when they have gone through more of a traditional legal experience. Peter: [10:52] Before we started, you took us through the client experience of Law Scout and I really like the fact that everything was broken down on a separate line item including the fee for the incorporation, the disbursements related to that incorporation and, on top of that, what I really appreciate was the technology fee was separated as well. [11:11] So you get a line item for everything so there's absolutely no confusion from a client perspective of what this whole package contains and how much each line item in that package costs. Derek: [11:20] I think that's really important for us and that's been there since the outset. We really want to be a transparent technology company and for the user to understand 100 percent before they engage with Law Scout, the costs involved in how things work. And the response to that has been extremely positive. Peter: [11:39] In speaking to other legal technologists or technology companies, I have been informed about sometimes how difficult it is when building a client‑facing product and the kind of extra level of education that might be necessary. [11:55] So that's why I really liked when I saw those little question mark things there. Because I said, "OK, a client is visiting and you're answering those questions or providing him or her the opportunity to answer those questions themselves with the information that's already on the site." Derek: [12:07] And that's something that we're always striving to do better as a company. To be able to provide more and more information to users. What that raises though is something really interesting, is, I think when you're building a product that's consumer‑facing, there's a balancing act. [12:21] Because you want to have enough information that you can still trust on the user so that they can look at things and understand what they're getting, but you also don't want to have too much information that they feel like they're writing a law school exam. Derek: [12:33] It's that balance that you need to come to and whether or not we've hit it yet, I think we're still always trying to improve on it, but that's something else that we're really aware of. Peter: [12:42] The team is what right now? Derek: [12:43] Three of us. Peter: [12:44] OK. And so that's the entire team? Derek: [12:45] That's the entire team right now and growing to include two more developers, one of those positions is now taken, and we're also to be bringing on a designer on more of a part‑time basis. Natalie: [12:56] You're talking there about costs and growing your team. So, one of the things that I know we've had in the past is, if I'm building something that's just a website surely it can't be that expensive and it's not like you have to have a physical office or anything like that. [13:09] So, can you tell us a little bit about the costs involved in setting up Law Scout and what you've seen in terms of unexpected costs? Natalie: [13:39] He's the brain. Derek: [13:40] He's the brains, yeah. Doesn't exist without him. So for that reason, we are very fortunate. And he's built companies before. So he has a very good idea of what it costs and how expensive it can get and where we can put money towards and where it makes sense to put money in, other times where we can be a little bit more lean. So, that experience is really invaluable for us. Natalie: [14:01] Worth its weight in gold, yeah. Natalie: [14:03] And are you guys working with other providers, for example, your marketplace and that sort of stuff, like the money side of things. Did you design that from scratch? Peter: [14:10] We use a couple of other technologies with our platform. One of the things we use for the payment processing is Stripe Connect which is a marketplace variation of Stripe, and then we also use type form for the more UI question and answer information that we gather from users and then on the backend for support we use things like User Voice and Olark. [14:33] All of those things add different pieces to it, but the fundamental database and technology of Laws Scout is something that we're happy that we built on our own and have full control over it. Natalie: [14:43] I always feel like any good start-up doesn't make much money in the first year, so compensation is always one of the hardest questions. How are you guys dealing with that? Derek: [14:51] Sure that's fair, and I think that's important to talk about when people are thinking about building a product or a company or a law firm or anything, is there's going to be some lean times. [15:01] So we were building and anticipating Law Scout for a year and a half to two years before we actually launched. Shane and I were at great law firms, so we ended up saving quite a bit of money through those positions and then when we initially launched, we were also, some of the lawyers that were connected with the marketplace, so we could also pick up legal work through the Law Scout platform. [15:26] So that's been a nice way for us to give ourselves enough of a runway to build the company that we want to build. But I think it's clear that when you want to pursue something whether it's your own law firm, whether it's a small business, a start-up, you're going to have to make sacrifices and all of us have. Derek: [15:45] Yeah, and changing buying habits and changing a lot of things, right? So, yes. Natalie: [15:48] Are you guys looking for external funding as well? Derek: [15:52] Right now we're not. We built the company to date and bootstrapped it based on that initial attraction. We've actually got some strategic investors to build out the next generation of Law Scout. And we're currently not fundraising mode right now, but we have gone through that. Peter: [16:13] Just taking a step back to talk about compensation and ownership structure and stuff like that, because the three of you are good friends, came up together and then I don't know whose idea this was. Whose idea was this, or I'm going to start a fight? Derek: [16:26] It's 100 percent Travis'. Travis is our tech brains or CTO. He had built a company before that was focused on iPhone photography apps. The apps that he built were industry‑leading; hundreds of thousands of users, and his company was acquired by Yahoo in 2013. [16:48] And it was through that process where he hired lawyers, and he hired a great law firm that he had a real passion for changing the industry. Peter: [16:55] That's a great way to put it. Derek: [16:57] It's such a typical perfect story. Then as a result of that, he spoke with his two friends that he knew were lawyers, which is Shane and myself, asking, "Is this the way lawyers work? Why is this the way it happens?" things like that, and it was from those initial discussions in late 2013 that we started thinking about Law Scout and how we would take a stab at doing a lot differently. Peter: [17:18] You developed the idea together? Let's say the impetus for the idea is Travis and his experiences, OK? And then the three of you are sitting around coffee shop tables and saying, "OK, how are we going to do this?" [17:28] And then that uncomfortable conversation comes up. You all have different skill sets, different backgrounds, and are bringing different things to the table. So, how do you decide or how did you decide how to share equity in this? [17:41] Because you said there's going to be lean times and so we know everybody is going to suffer for a little while, and the idea is we're growing something bigger, but the equity is what everybody is after. So how do you deal with that? Derek: [17:53] I think we have been fortunate, and I'm not sure if it's because of our friendship and how deep it runs, but we didn't have an issue sorting that out whatsoever. We haven't had an issue really of working together. It's been fantastic working with two close friends. And it's not only great working with two close friends, but it was two close friends that you know are extremely competent. Derek: [18:13] That's a good combination to have. So we never had any issues surrounding equity or giving up work. It was all towards a collective goal that the group will benefit. Peter: [18:27] And so the idea is, "We'll just divide it into thirds and be done with it"? Peter: [18:30] It's funny because we interviewed Travis before this podcast. Peter: [18:34] Derek is such an egomaniac. He is sucking everything out of the company." Derek: [18:38] Right. I'll have to talk to him. Look at those documents again. Natalie: [18:44] Other than discussions over coffee, or a pint, or something like that, what kind of research did you guys do to see if your idea would actually work? Derek: [18:51] In hindsight, I think that's one of the things we could have done better and that we're starting to do in terms of how we're building our second version now, is doing a better job at market research, and trying to take away ourselves from the process and be more objective. Peter: [19:06] What does that mean? Derek: [19:08] I can say naively at the outset it was, "I'm building this. Do you think this is a good idea?" And invariably, the answer is going to be, "Oh, that's great. Good work." Peter: [19:16] "That's the best." Derek: [19:18] "That's the best idea." Peter: [19:18] "You're so smart." "No, you're so smart." Derek: [19:20] "You should do it." So, it's not presenting answers, but it's asking questions. And taking a more objective and unbiased approach to that market research. [19:31] So we've been a lot more diligent in terms of constructing questions and focusing in on specific industries that we want to learn more from. We have read a few books in that area. "Crossing the Chasm," by Geoffrey Moore was really helpful, and then also some assistance with the market research group in MaRS has been helpful for us in terms of crafting those interviews. Peter: [19:56] Those interviews are with clients? So that's part of your exit interview type thing with clients as well? Derek: [20:02] This actually was with industries that we wanted to move towards. We just did cold calls or looked for connections, and then met over coffees, had phone conversations, what have you, and tried to keep it to under 20 minutes. It was very much a deliberate market research exercise rather than simply an exit survey. Peter: [20:20] So, give me three questions that come out of a typical type of market research interview that you had. Derek: [20:26] Sure. You would just be asking the small business how they currently consume legal services. Are they happy with it? What they like about it. What they don't like about it. [20:35] How that small business interacts with their accounts, for example. And is there anything different with the way they interact with their accountants or bookkeepers as compared to their legal counsel? If they haven't got legal counsel before, why? And not, at any point, trying to suggest a solution but just gathering data. Peter: [20:52] Right, this is just learning. Derek: [20:54] It's just learning. And I think that's one thing that we didn't do as good a job as we could have a couple years ago, and that we're learning from now. And there really is a science to it and it's really a good way to build the product as well. Peter: [21:05] Can you tell me one thing that has come out of those interviews that has made its way to Law Scout? Derek: [21:11] The one thing is simplifying the process and a continuity to the technology. So that you're constantly providing value to the small business is something that we're instilling in new versions. Natalie: [21:15] We hope you are enjoying the podcast. We want to take one minute to tell you about a new segment that we are adding to the end of each episode. 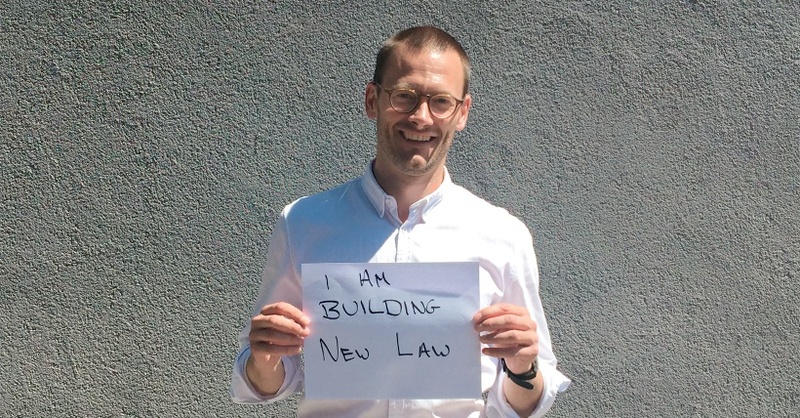 It's called "I am Building NewLaw" and it gives you the opportunity to share what and how you are changing the practice of law. Peter: [21:30] So if you're building a NewLaw firm, legal tech company, or a product, we want you to record a text message and tell us all about it, and we'll add it to the end of one of our podcast episodes. Natalie: [21:38] Just go to countertax.ca/iambnl, click on the voicemail button, and tell us what you're building and way. Peter: [21:45] We'd love to hear about your experience so that we can share it with the whole NewLaw community. Natalie: [21:52] So remember stick around until the end of the show to hear how one of our listeners is changing the practice of law. Peter: [21:55] And now back to the show. Peter: [22:00] So you said you just hired a developer and you're anticipating adding some more team members? So how are you finding these folks? Derek: [22:08] The one thing we learned in hiring developers, it's very much a developer market. Derek: [22:16] When I've talked to other start-up founders about it, they compared it to a dating app scenario where you have to go and reach out and say you're interested. And then the other party will say they're interested back, and then you can start a conversation that way. [22:30] That took a while for us to learn. The nice thing is, again, Travis has been integral with hiring people at Yahoo. And as a result, we've implemented some of the processes that he's learned at Yahoo into our hiring process. [22:45] So what that looks like is we get a lot of applications. We do the initial vet. And then we'll do an initial coffee to try to determine fit to make sure that we can get along and work together because, at the end of the day, there'll be a lot of hours. [23:00] And then the second stage is a fairly detailed coding exam with Travis in terms of a screen share where there's some different algorithm problems, and the developer will be asked to solve them. And then we can see how they're approaching the problems. Natalie: [23:40] It's great to have Travis who can help you with that. We need a Travis. I don't know how you find somebody with that skill set initially. Derek: [23:47] I don't think you can hire that type of skills. But I think you have to have someone who's passionate about the product and the project and is willing to sacrifice certain things to be involved in it. Speaking with other start-ups that are looking to hire, getting that really high‑level developer is very hard to get. Natalie: [24:04] Yeah, it's a critical first step. Peter: [24:10] Then the second benefit that he brings to the table is the fact that he's bonafide. The community will say Travis has credentials such that if you look him up within that community, you know who he is and provides that kind of stamp of approval or authenticity to Law Scout itself in that community. Derek: [24:26] 100 percent. There's also added value of having someone on the team who is a consumer of legal services rather than a provider of legal services in terms of history. Because that goes on, again, to how you built the product. Peter: [24:38] And the lawyer's brain is, "We're learning through this journey." The lawyer's brain is very different than everybody else's, and we're so far into ourselves. Peter: [24:47] I'm going to call it narrow and deep. Peter: [24:49] It is. That's who we are. That's what we've been trained to do. When you have an outside perspective, somebody like him and from a very different industry that can only help you. Derek: [24:58] Lawyers are very good at identifying and mitigating risks. Fundamentally, that's what lawyers are great at, which doesn't necessarily translate well to being an entrepreneur. Peter: [25:08] No, it's the opposite. It's identifying and leveraging every opportunity that you could possibly see. Natalie: [25:10] What would you say has been your biggest pain point or obstacle to date? Derek: [25:18] The biggest pain point or obstacle has been getting users. When we launched last year, it was very slow for a couple months. And we had the mentality that if you build it, they will come. And that is not the way it works. [25:34] So we took a very on‑the‑ground marketing approach after that in terms of going out to speaking events, and it worked. We have seen real traction in 2016. That's just something you learn. [25:44] But as a first‑time entrepreneur, you're so excited about the building phase that you don't realize how much work everything is once you hit go. But I think that would probably be a common obstacle that many early stage start-ups see. It's trying to find that product market fit. Natalie: [25:44] Well, I think it's hard too because looking at your product from a lawyer perspective, I know how irritating all of the back and forth in the admin side of things would be. But somebody who's looking at this and incorporating their first company doesn't understand the value that this is bringing. Peter: [25:55] Like what you were saying earlier, and it's funny we have the same experience. If we have a client who is a sophisticated client who has experience dealing with lawyers and then deal with our firm, inevitably, they have a whole new experience and realize how different we are. Natalie: [26:08] You've got to have the bad experiences to see the value, right? Derek: [26:10] 100 percent. Or, as we've seen, people will assume that the legal industry is the same as the other industries, which is fine as well, but then they'll be disappointed later perhaps. Natalie: [26:15] Hopefully this will influence more lawyers to become more like this. Peter: [26:19] It's a fascinating idea that because of the history that we have in the background that we all have, of course, the legal industry is completely different. We've never viewed it as any other way. But the general public, and this is honest, the natural reaction for them is this is just like everything else I do. Derek: [26:32] I think the legal industry, over time, has had this mystique about it a little bit, which I think has influenced consumers' minds to an extent about how they will consume legal services. [26:45] And I think that's actually hurt lawyers as well because that automatically cuts out 80 or 90 percent of the potential pool for people that have the money but don't want to take the step of engaging with a legal service provider. Peter: [27:00] There's always been this idea, this lawyer on high, right? This purveyor of knowledge that is above the general public in some way. That certainly is silly and certainly needs to be adjusted and I think is being adjusted. [27:13] Thinking about Law Scout, do you think that it brings the pendulum to the absolute other end? Does Law Scout make all lawyers look the same or decrease the value that lawyers of different skill levels provide in the user's mind? Derek: [27:30] One of the things that we have tried to do with Law Scout is to make the purchasing decision with the user, one to, "I want a solution to a legal problem, and this is going to provide that solution," rather than, "I want to hire a lawyer." [27:45] That being said, we're very clear in terms of the services that we facilitate that we're very much in that small business expertise. And we're not going towards tax law, for example, or litigation, for example, or things that may become more specialized. So, our specialty and the lawyers that are connected with Law Scout specialty is small business law. Natalie: [28:01] But it's not the company work. It's routine work. So why do you need to have lawyers of different skill sets? Peter: [28:10] You need a lawyer of a certain competency, which Law Scout will vet for you. Derek: [28:14] And one that based on our understanding of our users has a good understanding of technology because oftentimes the users that go through our site have a key technology component to their businesses. And then also have a strong understanding of starting a small business. Those two pieces are important. Peter: [28:50] When I think about our firm and our client base as well, and we're being interviewed sometimes and a larger firm is being interviewed for the same litigation piece, and I often think to myself, I look at this entrepreneur that's built this business, and I'm looking at this potential client thinking to myself, "We have gone through the same experience." [29:05] And that experience, or background, or journey, is invaluable and helps us do a great job on a file. And when they're in that different environment, kind of that big law environment, those lawyers just don't have that background. [29:21] Similarly on the other side of it, if it's a large public company or something like that, we don't have that background. And so maybe big law is a solution in that type of environment, but I do think you're right. I think that background is significant and may be under appreciated. Derek: [29:34] I'm just sitting here nodding my head in agreement. I can confidently say that I am a better lawyer now as a result of building a technology company for small businesses than I was before. Even though I practiced corporate commercial law and a lot of my clients were small businesses. [29:50] So, going through that and understanding the pain points of a small business immeasurably helps you provide quality advice to clients. Peter: [30:00] That's really interesting. And so that idea, and I really liked what you said earlier about, "We're helping people get a solution to a problem as opposed to hiring a lawyer." [30:10] And that idea, I would imagine, is part of the thought process that Law Scout had in not giving the user the opportunity to choose a specific lawyer. And as opposed to that, having one assigned to them based on their matter and their needs, correct? Derek: [30:20] Right. It's like an algorithm that we can take different things into consideration and then get the right lawyer for them. Peter: [30:25] I think it's amazing. Natalie: [30:27] Are there times when you miss your comfortable legal job? Natalie: [30:35] Your old comfortable job, I should say. Peter: [30:39] I think he's doing this because he was uncomfortable, is that it? Derek: [30:40] It's strange. So I was thinking about this a little bit when you sent over the initial questions. So I had a great position at a great law firm, focused primarily on litigation as a smaller corporate department. [30:51] I practiced corporate commercial as well as litigation focused on professional negligence defense work. And I really liked my job, but it wasn't something that I had a stake in, number one, and I wasn't having influence over the larger legal industry. [31:08] So, those were the motivating factors, and it ended up being a point where you can't do something like this part time whatsoever. So we thought about it, and for me personally it was, "In 20 years' time, I'm going to be happier that I tried this and gave it my all, or just that I worked on it for a year and a half on evenings and weekends and never went through with it?" [31:29] So that was the real push of going ahead with everything. I don't regret it at all. It's been difficult. It's been very difficult. I don't regret anything. I've learned so much, I guess, over the last year and a half. Natalie: [31:43] Do you think you have the safety net that, if this doesn't work out, you can go back to private practice? Peter: [31:50] Can you, really? Like, I know you. I'm sure somebody would hire you. Derek: [31:55] That's a very good question, can I? I think we haven't had to think hard about that. I think in the initial months I was thinking a bit more about that. Things have definitely picked up with the site. I don't know if I could. That's another podcast. Peter: [32:14] What are we dancing around? You talked about the lean times and not having a lot of users at the beginning, and then we talked about making sacrifices in terms of changing spending habits and all that. The reality is, any time you're starting something like this, there isn't a lot of money there, right? [32:27] And when we asked if it was difficult you said it was difficult twice. You repeated that one twice. Peter: [32:30] Like, "Yeah, this is hard," but you're still smiling about it. And I think for people like you and people like us ‑‑ and maybe we're all fools ‑‑ but it's becoming more about fulfillment than anything else. Derek: [32:43] 100%. When it's something that's yours...And that's one of the interesting things that I wanted to talk about a little bit today. I think we are in the same boat. Building a law firm and building a company share many similar highs and lows and all the rest. [33:00] But its fulfillment at the end of the day and there is the end goal of building a big company that makes a big difference, but it's also fulfillment, it's having a piece of the pie, it's working with people that you think are extremely competent and learning from. So that all plays into it. Peter: [33:18] I hope that Law Scout ends up, 20 years from now, this multi‑jurisdictional and this huge thing but we all know that it might not. Like anything that any of us are doing. And we all continue hard down this path of difficulty and sacrifice. [33:32] And I think what's continuing to push all of us is we're willing to say this might not work in 20 years, but when I look back I'm going to feel fulfilled of what I did or giving it a shot. I think that's really neat. Derek: [33:41] And risk‑taking is inherent with that. You must be willing to give something up to get a reward. Because if it was easy, someone else would have done it. If you're trying to grapple with that in terms of whether you make the jump, I think you're not going to get someone that knocks on your door and says, "Now is the time to take the risk." Peter: [34:00] That's an interesting thing, and something that we talk about a lot ‑‑ and I hesitate to ask because I feel like we're descending into Oprah territory ‑‑ but what are you giving up? [34:10] When I look at all of us and what we're doing, we're giving up stuff. Even our partners and stuff like that are being affected by what we're doing in the journey that we've chosen. So can you share a little bit about what you're giving up? Derek: [34:20] I guess the immediate thing would be salary. You don't draw salary whatsoever for the first long while. There's personal things that you give up. So I still have a place in Edmonton, my partner still is in Edmonton. So there's those personal sacrifices that you make. You need that support network I guess as well when you're building something. [34:42] But again it's all outweighed by the chance of building something exciting and working with people that you can learn from. Natalie: [34:47] It's a chance to change, I think it is. Derek: [34:48] Yeah, that's what it is. Natalie: [34:49] It's like, "I could make change." Derek: [34:54] Yeah, I think we're definitely in Oprah territory now. Peter: [34:55] I think you guys are doing it on a higher level, but when I think about it, it's almost like I owe it to myself to try this. And what's amazing is you get a couple people together, like your group of friends and now business partners, that say, "We owe it to all of ourselves to try this." [35:11] And I think that becomes a really powerful and motivating force and that's why I asked you, really, could you ever go back? Because in our experience once you have a taste of that there's no other way to live. Derek: [35:21] I think we're all on the same path. And we're all motivated by the same things which is really exciting. Peter: [35:26] Yeah, and that's why before we started the podcast you asked me about how the podcast is going to return on investment for a podcast. And I told you somebody else asked me about this, and I keep telling people, there's no master plan or return anticipated other than this. [35:39] Other than the fact that we come in today thinking about you and what you guys are building and we leave inspired and thinking, "Oh we just found another kindred spirit that further motivates us to push forward in whatever it is we're doing here." Natalie: [35:55] Who else have you found in the NewLaw space who's doing something interesting? Derek: [35:58] There's a ton. I know you've already had Andrew Currier on your podcast before, but we've had the chance to meet up with him and learn a bit about what PCK Law is doing. And I think they're taking a very innovative approach to law. [36:13] I think they share a lot of the same things that you guys are doing with your law firm in terms of taking up real project management approach to files and being able to look at data and provide answers to clients. So I think that's all really exciting. I'm just as excited about the changes to law firms as I am to legal technology. [36:30] Practicing law still fulfilling and it can be done in a really exciting way and pointing at Counter Tax, pointing at PCK and these other firms that are doing things differently and succeeding. I think that's great from a law firm angle. [36:40] And then from a legal technology angle, I saw a demo of Kira a year ago, I've gotten to know Noah at Kira a little bit, and I think they're the one to watch. Peter: [36:52] I ran across Kira System's name, and we're are looking into this now, and you guys might want to think but this as well. You've heard of Venture For Canada? Peter: [37:02] So Venture For Canada is a program, I think it's run at Queens University and what they do is they have all these graduates. And they vet all these graduates who want to become entrepreneurs, I guess is kind of the premise. So it's a very, very competitive process. And then they place them with start-ups in companies. [37:18] And the idea is you do a two‑year internship, and supposedly they're producing unbelievable candidates. I know a couple of businesses, non‑law businesses who've hired and I've heard about this. [37:29] And again, like we were saying earlier, I want to bring new perspectives and other perspectives to our law firm and I'm looking through this website the other day and whose name is up there? Kira. Derek: [37:39] I'm not surprised. They are an incredible company, they are very big, they've been growing a lot and their technology works. I've seen it. Peter: [37:45] And so candidly, we're struggling to find law firms that are doing interesting things. So other than PCK, is there somebody that's exciting, from a law firm perspective, in terms of what they're doing internally? [37:59] And you could say no because one of the things that we're talking about is we want to do a competition for the most innovative law firm competition. Because we just need to shut these people out. Because like I said we're having a hard time finding people who are doing cool stuff. Derek: [38:12] I think it's on the two ends of the spectrum. So you can look at giant firms that has transitioned to Axiom, or things like that. And then you can see a lot of solo and small firms that are implementing very lean practices and using technology things like that. But I'm not really aware of that 30‑100 size law firm yet that is really doing things differently. Derek: [38:41] 100 percent agree. Peter: [38:42] I speak to Matthew Peters who I think you know as well from McCarthy Tetrault, and I'm like, "McCarthy is going to fail." "What, are you kidding me?" [38:50] And then I see people in very small law firms who have the ability to be nimble and all that other good stuff, but you see that medium size and I think, "Oh, no. Do you not have enough money to do what big law's doing? But you're too big to do what somebody like us is doing and now are you stuck because of that?" Natalie: [39:04] What's PCK size? Peter: [39:10] Yeah, medium. But he did transition now. He had this idea and built it in kind of similar to what we're doing, right? You're building into the infrastructure, and then you scale based on that infrastructure. He didn't have to take, let's say, Torkin Manes, for the sake of example, and then transition that into what he is now. Natalie: [39:28] What do you think is the biggest obstacle to change in the legal industry? Derek: [39:30] I think two of them are regulation and capital. Regulations, I think they need to change for us to be competitive on an international scale. I think we continue to look at the legal industry on a nation by nation basis and that's not going to last forever. [39:50] So those countries that are relaxing regulations and allowing for different companies to grow will at some point take over Canadian legal industry, for example, because we're going to have so much capital and eventually our regulations will relax. [40:05] And the second is capital, and that ties right into it. If we don't get those things right, we're not going to be competitive on a world scale. So we've already seen companies like Axiom come in and now profits from Canadian legal services are going to going to an American company. [40:20] So I think we need to think about 10, 15 years from now and how we're going to compete and do changes today so that we can build companies that will compete. Peter: [40:32] Thank you so much for doing this. I wish Law Scout continued success, and thanks so much. Natalie: [40:43] I thought it was really interesting that Derek said he thought he was a better lawyer after leaving law to go build a company. Peter: [40:48] That surprised you? Natalie: [40:50] Didn't surprise me in the sense that I believe that building a company makes you a better lawyer but it surprised me to hear somebody speak so openly about that. Peter: [41:00] So why does building a company make you a better lawyer? Natalie: [41:07] I think it goes back to you've got to have a negative experience in order to understand the particular pain point that is being suffered, and then you are able to address it better. Peter: [41:14] I don't know if that's true. Natalie: [41:16] But we've heard the same thing coming from...Sam talked about it. Peter: [41:20] So, are you're building a company? Natalie: [41:25] Am I building a company? Yes. Peter: [41:27] How far removed can you be from being the founder or the stakeholder in a company to qualify as building the company that you get this experience that apparently leads you to being a better lawyer? Natalie: [41:34] I would say it's not to do with a relationship to whether you own something or not, it's to do with mindset and it goes back to when I am working, what I'm I my trying to do? Am I'm building something? Am I creating something or I'm I here simply doing a job? Peter: [41:50] So this law firm grows and, hopefully, in five years from now it changes and the phase that we're in now stops. So the other lawyers that will work here at some point in time won't have the experience of building something in the same way that you and I are going through or learning right now. [42:10] And so those lawyers won't be those "better lawyers" that you and Derek are talking about or at least won't have that experience? Natalie: [42:14] Yeah, they wouldn't have the same experience. The people who are pushing to change law seem to have more experience outside of law. [42:21] So I think the lawyers that will work here in the future will come from a variety of backgrounds, will be exposed to a variety of backgrounds in a different way to practice law. And maybe that swap is sort of a diluted version of what Derek is experiencing. Peter: [42:35] So you think that as that experience is going to become more and more valuable or we will value it? Natalie: [42:46] Nontraditional experience and mindset. Peter: [42:48] So this is how you become a complete lawyer? It's either being connected to the formation of the company in development of the company or having prior experience that influences and informs you as a lawyer when you become a lawyer? Natalie: [43:00] I don't know if it makes you a complete lawyer. Peter: [43:01] Or more of a complete lawyer. Natalie: [43:03] Yeah. Better in the sense of, you have more understanding of your clients and what they're going through. Like Derek was talking specifically about he could service business clients better having run a business essentially. So it's coming down from a pedestal and actually paying attention to what's happening in your client's business, not just the legal problem. Peter: [43:26] Because you've lived it. Natalie: [43:29] Because you've lived it, experienced it in some way or at least had more exposure than a traditional lawyer, is that the right way to phrase it? Peter: [43:35] OK, that's fair. Or a tradition career path, I guess. Natalie: [43:37] The second thing I thought was really interesting, and I know that it's something we've talked about before, it's, what do you have to give up in order to do this? And it's really moving to hear Derek talk about the fact there is no salary the fact that this is really, really difficult and to talk openly about that. Peter: [43:55] I really like this podcast episode. We do this podcast, and I don't know what's going to come of it. We're going to interview Derek as he has Law Scout and Law Scout is pretty cool. But you don't really know where the podcast is going to go, or the episode itself is going to go or where the interview's going to go. [44:10] But what I really enjoyed about this podcast and what I didn't expect going in is really candid and honest discussion about his experience and I really, really liked this episode because of that. Like you just said, it is something that doesn't get talked about and certainly doesn't get talked about with the candor that Derek was willing to share with us. [44:35] When he talks about being fulfilled by what he's doing in a way that he wasn't previously because he feels he has the opportunity to influence the legal industry, and now he finally has a stake in something that he didn't have previously and how those are central components to his current feeling of fulfillment. [44:54] And yeah, you're right. The whole idea of sacrifice. He says quite candidly, early stages, no salary whatsoever and being separated from his partner in Edmonton. But at the same time, he walks in every day feeling inspired and fulfilled and driven from what he's doing. I think that's such a unique thing to communicate in a public format. Natalie: [45:15] And like he said, no regrets, right? Peter: [45:17] Yeah, no regrets whatsoever. Natalie: [45:21] Do you think that scares people away or gives them that feeling of, "It's OK, I'm on the right path," kind of thing? Peter: [45:25] Do you think what he said would scare people away? Natalie: [45:30] No, to me it's like waving flags in front of a bull. I just want to charge after it. But I'm looking at that through a very different lens to somebody who perhaps is wondering, "Is now the time to take that leap?" Peter: [45:38] Here's a guy that said like, "Look there's all this pain, and I won't change a thing." What was so neat was when he talks about the sacrifice, just that moment ‑‑ if anybody goes back to that moment when he talks about sacrifice ‑‑ you hear it in his voice. [45:50] You hear how hard it is in his voice and then right after that he says, "I wouldn't change a thing," and that he keeps coming in every day inspired. If that doesn't inspire people into action or communicate to people that going towards fear is a fulfilling path, I don't know what's going to inspire them. That's so real. Natalie: [46:17] Since we recorded the podcast the Legal Innovations Zone actually announced the winners of their Access to Justice Challenge and Law Scout came in third and got $10,000. So, congratulations to Derek and the Law Scout team. Natalie: [46:34] Don't forget to stick around until the end of the podcast to hear a listener's "I am Buildng NewLaw" story. [46:41] For this episode's show notes and transcript, and how to satisfy your Law Society's CPD requirements, please visit our website at, buildingnewlaw.ca. [46:49] We'd love to hear from you and if you have any feedback feel free to send an email to info@buildingnewlaw.ca or come and find us on Twitter @buildingnewlaw. Don't forget to subscribe on iTunes, our website or wherever else you get your podcasts. Peter: [47:05] Thanks for sticking around. Now one of our listeners shares how they are building NewLaw. Pulat Yunusov: [47:10] Hello, I am Pulat Yunusov. You may know me from such twitter account as @Pulat. I am a commercial litigator in Toronto. I write for Slaw.ca. [47:27] Something important is happening in Toronto on March 20. Osgoode professional development is hosting a day-long program on blockchain law. Google Osgoode blockchain and you'll find the webpage. [47:45] It's hosted by a fanstatic duo of Don Johnston and Addison Cameron-Huff. Panel's will be out of this world. This is the best event on block-chain law for lawyers. I haven't heard of anything like this in Canada yet. [48:02] There will be a lot of CPD hours. Go to the website. Register and spread the word. Sponsor: [48:15] Thanks for listening to the Building NewLaw podcast brought to you by Counter Tax lawyers. To learn more about Counter, go to countertax.ca. Lawyers that have completed the S02E02 BNL CPD can claim a 50 minute Professionalism CPD credit. To access the S02E02 verification examination click this link.